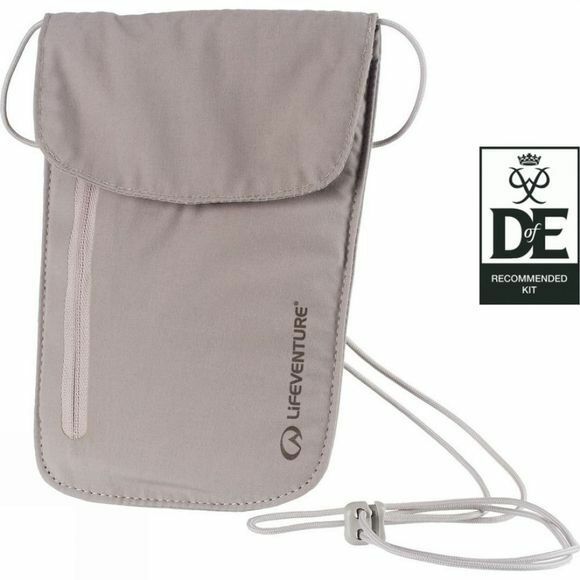 Keep your valuables and personal items secure and incognito with the Chest Wallet from Lifeventure. Designed to be worn under your clothes the body wallet chest is soft, lightweight and low profile so you can keep your valuables comfortably secured around your neck. The body facing fabric is lightweight, soft and breathable for warmer climates and the pockets are designed to fit your passport and documents. The wallet shields the contents from radio frequency identification (RFiD) readers by stopping the information being transmitted through the nickel and copper coated polyester fabric.